Did you hear? Samsung has something major to announce on June 20, when a "Premiere" event will be held in London. It won't be just about Galaxy devices, however, as new Windows based hardware is also expected to make an appearance. 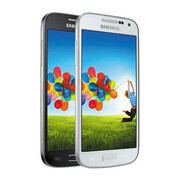 And speaking of Samsung, the Galaxy S4 mini, which we saw several times in leaked photographs, is now official. So is the white Google Nexus 4, which can be bought online from the Play store. More information about these and other interesting stories from the past week can be found by following the links below! May 27, 2013, 7:04 AM, by Daniel P.
May 28, 2013, 4:06 AM, by Alan F.
May 30, 2013, 3:36 AM, by Nick T.
Dennis Woodside confirms the Moto X and says Motorola is "relaunching its product line"
May 29, 2013, 6:57 PM, by Michael H.
May 30, 2013, 4:51 PM, by Alan F.
May 28, 2013, 3:16 PM, by Alan F.
thank you so much for putting this list together! it made my day so much easier!